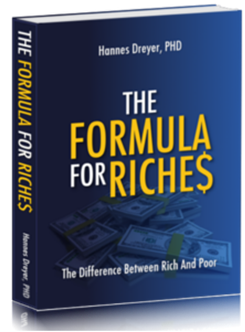 The Formula For Riches® - The Difference Between Rich And Poor, currently sells for R350.00 (exc VAT). For every sale you refer to us, we will pay you 75% Commission (less ClickBank processing fees of course.) So you will net about R262.50 for each sale. … and sell 100 a week, make about R 26,250 weekly! Why should I be confident in you & what makes you better than everybody else? The Formula For Riches® eBook uses ClickBank.com to manage our affiliate program. We will provide you with great tools below to sell our product easily. Clickbank.com will even credit you for sales even if your buyer does not buy on the first day. So even if they come back months later, you still get paid. We always pay the last affiliate who referred the customer to us. We pay 75% Commission because we want to have as many people as we can promote our product.